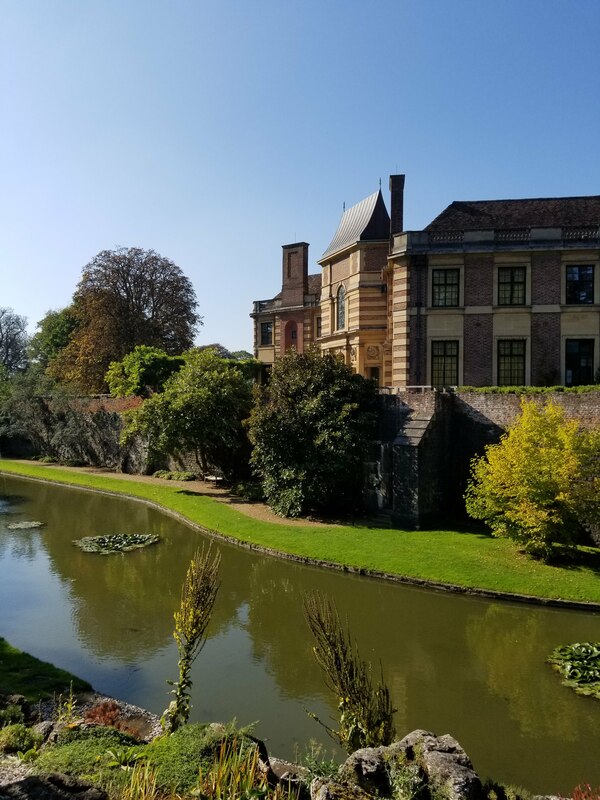 On my last trip to the UK, I was lucky enough to have a tour of Eltham Palace. My main interest for seeing the palace was the Tudor connection. It served as the royal nursery for the children of King Henry VII and Elizabeth of York. But it turns out the modern history and architecture were also worthwhile. The first mention of any community at the location of Eltham is in the Domesday survey of 1086 in which the manor is listed as belonging to Odo, Bishop of Bayeux, the half-brother of William the Conqueror. After a period of fluctuating ownership, it was acquired by Anthony Bek, Bishop of Durham in 1295. Under his aegis, the manor house was rebuilt and a defensive perimeter wall of stone and brick was constructed within the line of the moat. The new manor was given to the future King Edward II in 1305 and the bishop remained there until his death in 1311. Prince Edward and his father King Edward I were known to stay at Eltham. Edward II granted the manor to his wife Queen Isabella and extensive improvements were made to the property. A new retaining wall was built around Bek’s original wall for extra support. Isabella gave birth to her son John here in 1316 and consequently he was known as John of Eltham. In the fourteenth century, the palace became the largest and most frequented royal residence in England. King Edward III spent his youth in Eltham and quite a bit of time visiting as king. In 1364, the French King John II was entertained at the palace. John was attended by his secretary Jean Froissart who noted many details of the caroling, dancing and festivities in his Chronicles. He says Eltham was a “magnificent manor”. The episode inspiring Edward III to create the Order of the Garter supposedly took place at Eltham. More construction occurred in the mid-fourteenth century. These included alterations to the moat walls, a new drawbridge and the addition of service buildings. New royal lodgings included a bathroom for the king decorated with a tile floor and glazed windows and chapels for the king and queen. Land was enclosed to the south and the east in 1367-8. Richard II made further enclosures and this became known as the Great Park. After other parkland was purchased by successive kings, the park consisted of almost thirteen hundred acres. From the fourteenth to the sixteenth century, monarchs enjoyed hunting in the park while lodging at Eltham. Richard II spent a great deal of money on the palace. Henry IV hosted ten out of his thirteen Christmases as king at Eltham. Henry hosted Manuel II Palaiologos, the only Byzantine emperor ever to visit England from December 1400 until January 1401, with a grand joust held in the emperor’s honor. Henry built some apartments and lodging for his queen Joan of Navarre. In 1445, the palace was spruced up for the arrival of Margaret of Anjou, new bride of King Henry VI. 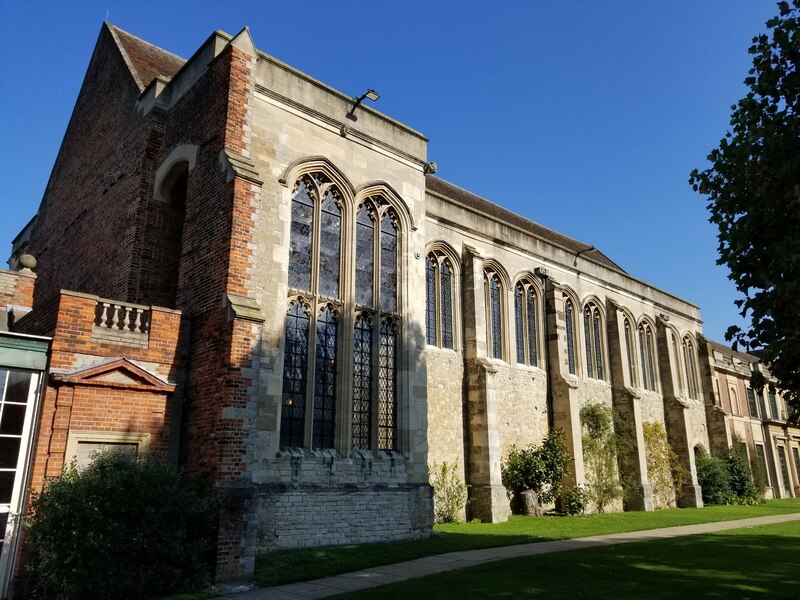 Edward IV’s favorite residence was Eltham and it was during his reign that the splendid Great Hall was built which still survives to this day. 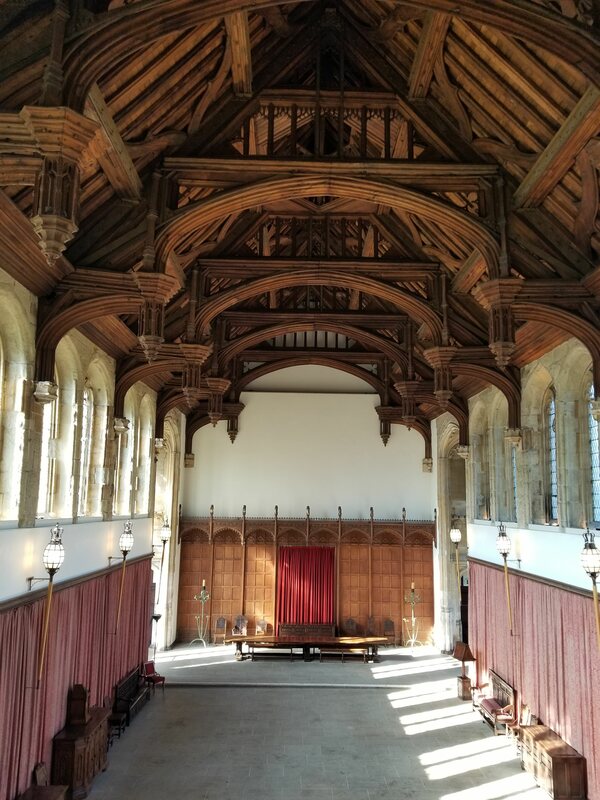 The magnificent oak roof is the third largest of hammerbeam construction in England. The Hall was used for receptions, entertaining and court dining. A sumptuous Christmas feast was held in the palace in 1482 with two thousand guests. This would be the last visit of King Edward to Eltham before his unexpected death the following April. 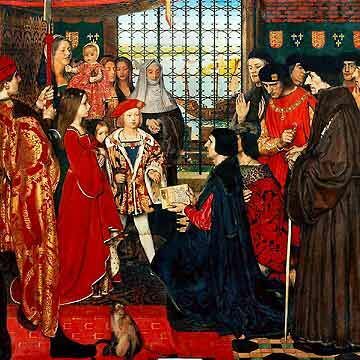 Painting depicting the visit of Erasmus and Thomas More to the royal Tudor nursery at Eltham in the summer of 1499 painted by Frank Cadogan Cowper, 1910. From Left to Right: Margaret, queen consort of Scotland, aged 10, Edmund Tudor, Duke of Somerset in the arms of a nanny, Mary, Queen of France aged 3, Henry VIII, King of England then Duke of York aged 8. Absent Royal child was Arthur, Prince of Wales who was at Ludlow Castle at the time of the visit. Eltham was one of only six royal residences large enough to house and feed eight hundred or more people. The Tudor court frequently used Eltham for Christmas celebrations. Henry VIII was the last monarch to lodge there and spend considerable amounts of money on the palace. 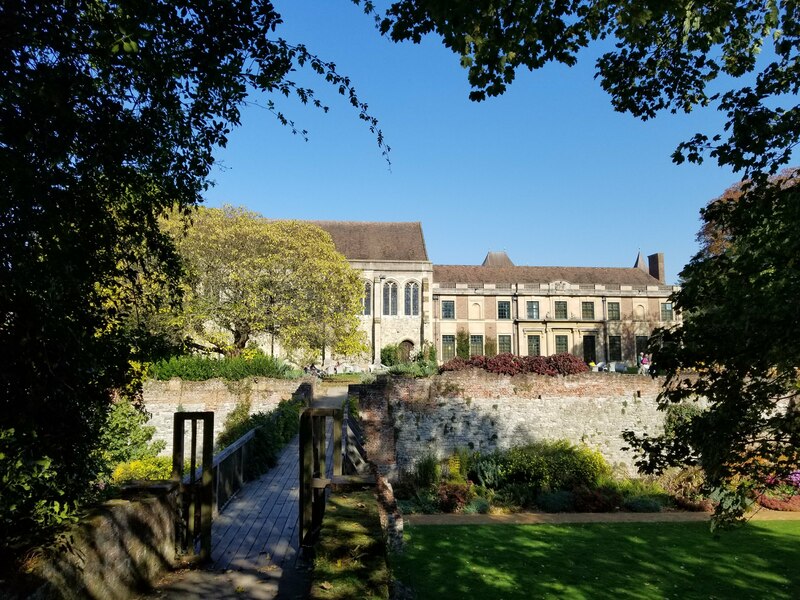 In 1517, a tiltyard was built and a few years later, construction was started on new royal apartments and a brick chapel. Cardinal Wolsey took his oath of office at Eltham on Christmas Eve in 1515. In 1525, Wolsey created the Eltham ordinances which set down rules of etiquette for the court and aided in reducing household expenses. These articles were ratified at Eltham signifying the palace’s significance. When Henry began putting money and efforts into the palaces of Greenwich and Hampton Court, which were more accessible by river, Eltham was frequented less and less, although the court still hunted in the parks where the deer were still abundant. By the reign of Queen Elizabeth I, the court visited Eltham only on occasion and the buildings were poorly maintained. The first Stuart King James I found the palace in decay and his son Charles I was the last king to visit. During the Civil War, the parks were denuded of trees and deer. Under the Commonwealth, Parliament sold the palace in 1651 to Colonel Nathaniel Rich who torn down several buildings and stripped the lead from the roof of the Great Hall. King Charles II gave what was left of the palace to John Shaw. The ruins of the Great Hall, the buttery, a bridge and some of the walls remained in the Shaw family until 1893. The palace land was used as a farm with tenants living in the remaining buildings. Eltham Palace appears as a romantic highlight in paintings and engravings. In the early 1800’s, a villa was built and ornamental gardens and kitchen gardens were planted. The Great Hall was used as a barn and a campaign was started to save it from being torn down. Repairs were made in 1828 and the roof was propped up. It remained in this state until 1903. A gentleman built a residence next to the Great Hall and called it Eltham Court in 1859. The Great Hall was used as a tennis court and for parties by the tenants. The Office of Works made extensive repairs on the hall from 1911 to 1914. The roof was taken down and reassembled with steel braces and tiles. In 1933, a millionaire couple, Stephen and Virginia Courtauld took a ninety-nine-year lease from the Crown on the property. The Courtauld’s wanted to build a home of modern design in place of the nineteenth century buildings and to preserve as much as possible of the historic palace. They commissioned architects to come up with a plan and built the house with the help of Sir Charles Peers, former Chief Inspector of Ancient Monuments with the Office of Public Works. He acted as a consultant for the repairs to the Great Hall. It was completely restored with the addition of a minstrel’s gallery. 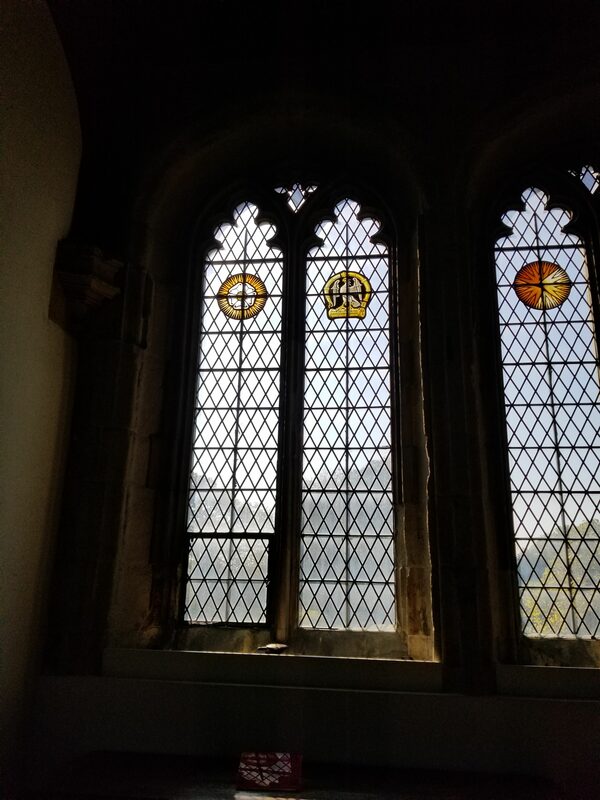 In 1936, stained glass was incorporated in the windows including badges of Edward IV and depictions of owners of the palace such as Bishop Odo and Edward’s queen, Elizabeth Woodville. The new house incorporated the Great Hall and was designed to complement it. The interior of the new house was in the Art Deco style and was suited to exhibit the Courtauld’s extensive collection of art, ranging from the Old Masters to contemporary pieces. There was plenty of room for entertaining their large circle of friends. Queen Mary, wife of King George V, was a guest twice. Incorporated into the house was all the latest technology such as electric fires, a loudspeaker system to air music in all the rooms, an internal telephone exchange and a centralized vacuum cleaner. The Courtauld’s were keen gardeners and planted and improved the grounds and gardens with many formal features. The couple remained in the house during World War II, using the basement as a bomb shelter during air raids. Four bombs fell on the property in September 1940, damaging the east end of the Great Hall roof. After reducing their staff, the Courtauld’s left Eltham in May 1944, moving to Scotland. They later moved to Southern Rhodesia (now Zimbabwe). The remaining time on the lease was passed to the Army Educational Corps. The company was renamed the Royal Army Educational Corps (RAEC) and provided language and other training for soldiers and helped soldiers reintegrate into society after they left the Army. The Corps left Eltham in 1992. The Ministry of Works took over the maintenance of the palace and the Great Hall. Repairs were completed and visitors could tour the grounds three days a week. The successor of the Ministry of Works became English Heritage which assumed responsibility for the Great Hall in 1984. In 1995, they began managing the entire site and it was opened to the public in 1999.